In order for LEX to appeal to our users, it needs to react more quickly or at least be perceived to be faster - right now Lightning is a misnomer. We see a landing page while the screen loads, which shows the release logo, animated - it's distracting and appears to be much slower than Salesforce Classic, perhaps up to a couple of seconds. An embarrassed silence while I'm trying to show clients how much better LEX can be, but all they see is the equivalent of the "loading page" stopwatch or clock that you used to see in the 90's. The reality might be that page loads are similar speed, but taking us to another screen while new new page is loading just makes it look slower. 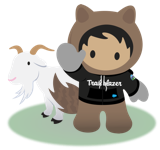 Thank you again to each of you who voiced feedback on Lightning Experience performance in this Idea's comments, as well as on the Trailblazer Community and other feedback channels. As communicated previously, optimizing performance and the experience for our customers continues to be a top priority for our Product and Technology teams. We are pleased to report that the significant investment made in the Summer '17 and Winter '18 releases have shown 35% - 50% improvements in the loading times of all pages compared to Spring '17. Most importantly, many of our customers have testified to these improvements, ranging from our small business customers to some of our largest enterprises with the most complex deployments. We welcome continued feedback on whether you are seeing improved performance in your instance, and we encourage you to share your experience in the comments below. We are committed to delivering even more enhancements in the upcoming Spring '18 release and beyond, including improvements to our underlying software and technical architecture stack, and look forward to sharing results in upcoming releases. These efforts reflect a culture of performance throughout our Product and Technology organization at Salesforce. This should ensure that the performance issues seen by our customers prior to Summer '17 do not return and it reinforces how we will continue to invest in performance enhancements. We are always looking for more feedback. Please comment below and let us know whether you are seeing improved performance in your instance. Thank you again for your continued support. It is disheartening as we prep our Org to go live with Lightning when we see how slow it is in our Sandboxes. I see the comments from everyone, read the suggested links/material about how to improve, but none of it is anything that truly addresses the problem. Lightning Experience is perceived as a misnomer unless one considers the shock, stun and inability to move when something is struck by lightning. It may have been meant as a way to indicate speed, but with 407 comments before mine, it is clear that speed is far from what the User Experience reality is. At this point I actively refuse to use Lightning. Performance seems to be getting worse. Today is especially horrid. I had to switch back to classic just to get something done today. No updates from SFDC. Sad to see that SFDC does not improve the performance. I don't want to see the loading spinner anymore. Are you all finding all aspects of lightning really slow? Our main pain point is in the service console. When we click on a case we load 3 tabs at once. 5-10 seconds total. We did same process in classic with zero issue and total load time of less than 5 seconds consistently. Most of the time 3 seconds or less. I have been pushing and working with SFDC tons in the past 4 months on this. I would suggest that you log a case and choose a console and then performance issues. The more companies logging that case the more resources SFDC will throw at it. Example: I was told that because of my persistence a team got an increase in budget to hire a FTE whose entire job is to find ways to better performance. Complaining on here might make you feel better for a moment but it will definitely not move teh needle at all. You must log a case and do not let them close it until your performance issues are gone. Too slow. Sometimes I have to go back to Classic because of the speed issue. Nikolay - it’s completely ridiculous isn’t it? Salesforce has its users running their entire businesses on its software and have decided the right course of action is to REPEATEDLY FORCE WITHOUT CONSENT a painfully slow “new” UX on them. What a shame because I honestly really love classic. Reminds me of when Microsoft put out Windows 8 for all of 5 seconds before realizing they’d produced a crap platform. Big difference is that SF seems committed to forcing it on us. We can only hope Salesforce has the same come to Jesus moment. You have a base line: Salesforce Classic, it has to performant as classic if not faster. Einstein on a bike... I'd rather he was riding a lightning bolt, and I didn't have to watch him ride for so long while a page is loading. Still feels slow compared to classic. Especially report building. LEX performance needs to be improved a lot and there seems to be a lot of UI bugs which makes me feel to go back to classic. Pretty sure I'm not the only one seeing Einstein riding on the bike for looooong minutes in firefox, looks like hanging! had to restart the browser multiple times, and hard refresh sometimes helps! worse than slow! I've been experiencing this for couple weeks now! We got 100 Mbps Up/Down link!, this shouldn't be on bandwidth! need to get this fixed ASAP please.